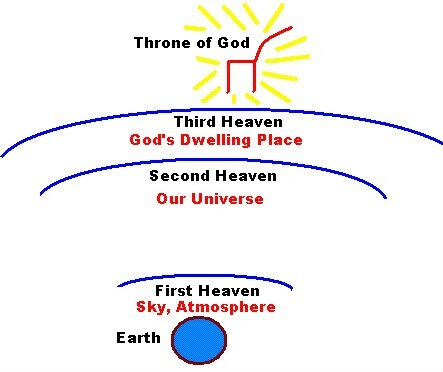 MormonInfo.org - FAQs - Doesn’t 2 Corinthians 12:2 teach that there are three kingdoms of glory or heavens? LDS assume from this passage that this is referring to three degrees of glory or heavens that people may go to after the judgment. This assumption is confirmed for Mormons through latter-day revelation (i.e., D&C 76 and 88). The problem, though, is that the Bible already has a certain understanding of the third heaven that is not in harmony with this alleged latter-day revelation. CARM has done a good job at laying out various biblical passages which speak of 1) the earthly atmosphere, 2) outer space, and 3) the dwelling place of God. LDS certainly wouldn’t equate the lower degrees of glory the earthly atmosphere and outer space. In addition, this 2 Corinthians passage goes on in verse 4 to identify the third heaven with “paradise.” Paradise, though, according to LDS categories is where LDS go immediately after death to wait for the judgment. It is by no means the dwelling place of God. For other LDS attempts to biblically justify three kingdoms of glory, see my responses to John 14:2-4 and 1 Cor. 15:40-41.